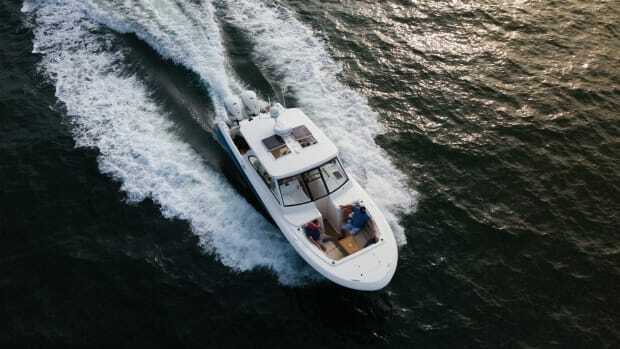 A deep-V, twin-step hull with a 22-degree transom deadrise gives the SeaVee a sweet ride. A significant portion of my childhood was spent having my lower back realigned by my father’s all-weather boating mantra and the genuinely awful ride of Old Greenie, our family’s beat-up, 12-foot, Sears, Roebuck and Co. Ted Williams Gamefisher skiff. If it was a weekend and the crabs or fish were biting, we were going out, 25-knot winds and rain be damned. Maybe that wasn’t the smartest thing to do in such a small boat, but there are some good memories scattered among my terrorized recollections of shooting 4-foot standing waves in Indian River Inlet, Delaware, or of Old Greenie nearly splitting in half on the Severn River near Annapolis, Maryland. 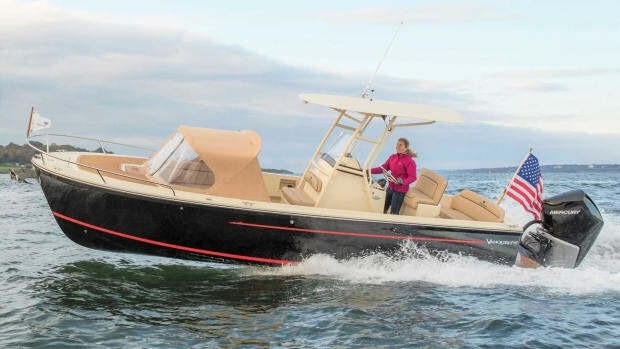 These experiences left my father and I attuned to the nuances of the way boats ride, and we spent the next 30 years at boat shows looking for the sweetest-riding boat we could find. Dad passed away in 2005, but I’ve carried on looking for that ultimate, magic-carpet-like ride. Fourteen years later, I may have found it. It’s a mild January afternoon, and I’m aboard SeaVee’s 322Z center console off North Miami Beach, Florida, running at 40 knots in a 3-foot chop. I’m soaking in the sounds and sensations coming from the thoroughbred, deep-V, double-stepped hull. 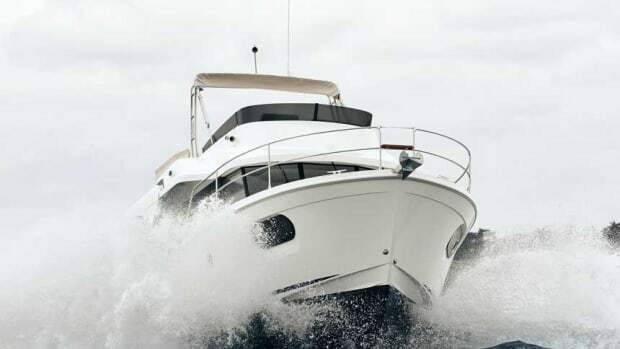 The boat feels effortless, smooth and relaxing. The smile on my face is indelible. Capt. 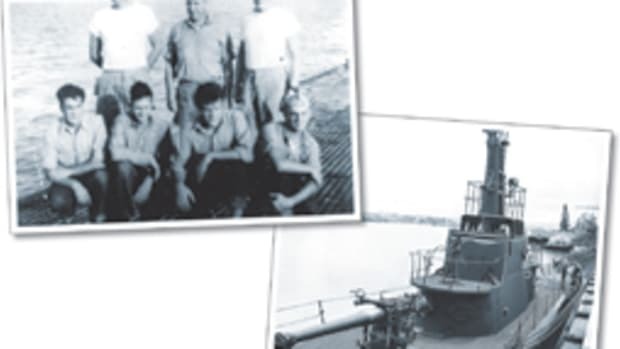 Don McGee founded SeaVee in 1974 in Miami, Florida, aiming to produce fishing boats that could run in the most demanding conditions. 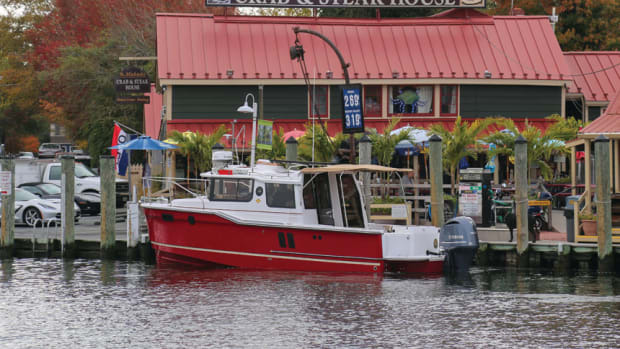 Today, the boatbuilder churns out more than 160 semicustom hulls every year. SeaVee prides itself not only on design, but also on fit and finish, which is why Juan offered me a factory tour. The aft-facing cockpit lounge is the best seat in the house. SeaVee’s hulls are resin-infused and built using composite coring, not wood. The stringers and hull are infused at the same time to ensure all components bond into a single part. This technique reduces weight, enhances performance and ensures a quiet, creak-free ride. 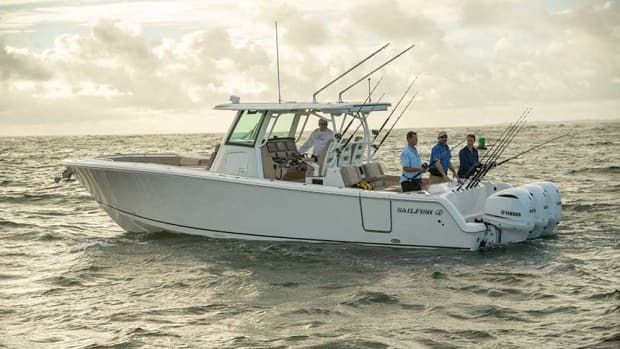 Each boat comes with a 10-year hull warranty. A technician on his back, polishing the bottom of a 322Z, caught my eye. “We finish our bottoms with just as much attention as the topsides, even if we know the owner plans to apply bottom paint,” Juan said. 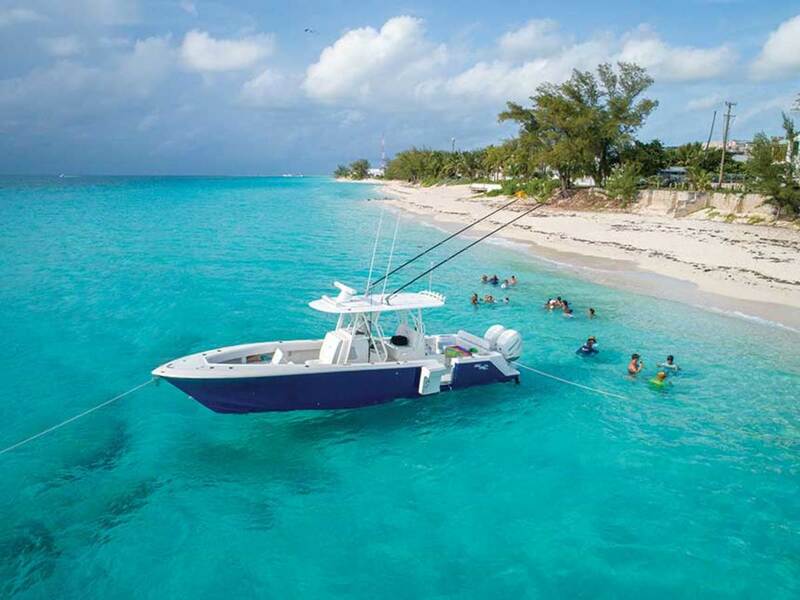 My eyes are on the topsides back aboard the 322Z in the Gulf Stream, where Juan and the boat’s owner, Jimmy Montes, are rigging up a kite spread with live bait from one of the two 40-gallon, pressurized live wells in the transom corners. There’s space for two kite spreads in the cockpit with three or four rods each. Everything is close at hand at the helm. Though Montes is a hard-core fisherman, he ordered his 322Z with features to keep his family comfortable. Most noteworthy is a two-person lounge that faces aft, into the cockpit. It’s a perfect vantage point for keeping an eye on our kite spread. As a fishing nut, I’d opt for a rigging station here, but I take a seat and see what Montes is talking about—it’s the best seat in the house. Other comfort features include a stand-up compartment with a macerating head under the console; a forward-facing, two-person seat forward of the console; and a drop-in seating bench for the cockpit. Some 322Z owners opt for lounges in the bow, but Montes went for a coffin box with an upholstered top that has an insulated fish locker beneath it. A press of a button raises and lowers the locker’s lid, and the coffin box. I find primo fit and finish while opening lockers and doors. 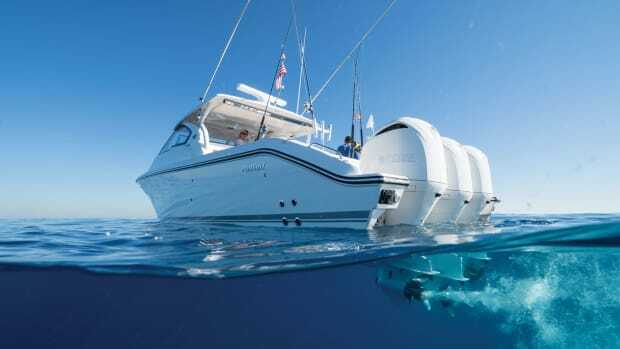 Each locker has stainless-steel, gas-assist struts, heavy-duty gasketing and overboard drains. The highly polished hinge mechanism on the cockpit dive door looks like it was precision engineered for the International Space Station’s airlock. The rod holders—every last one of them—are plumbed with hoses to drain overboard, not into the bilge. 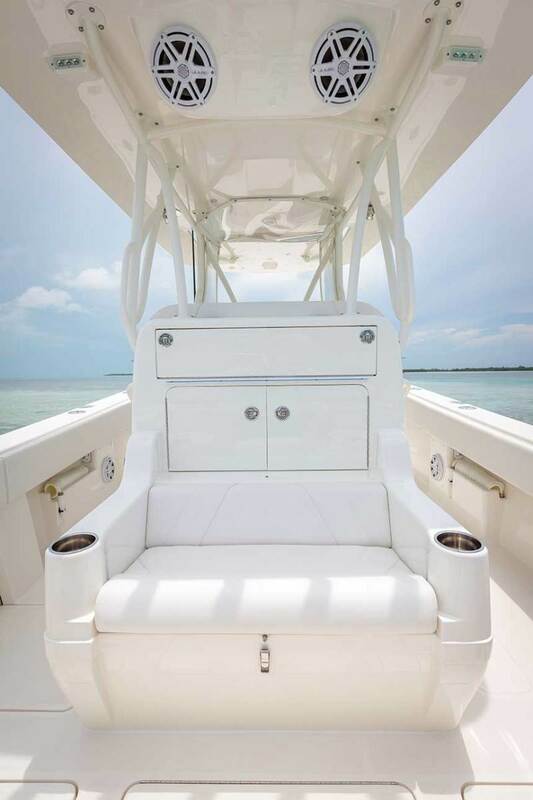 Hinged cockpit dive door is a great feature at any beach, sandbar or anchorage. Just as the sun begins to backlight the North Miami Beach skyline with a gorgeous orange hue, we reel in our baits and end our day of, unfortunately, unproductive sailfishing. Juan lights the afterburners on the twin 350-hp Mercury Verados. The bow barely rises with the stiff application of power, and we’re on plane in around sixseconds. Juan keeps the throttles mashed down until we reach a top end of approximately 50 knots, and then backs us off to a comfortable cruise around 35 knots. We glide across the 3-foot chop burning 20 gallons per hour. 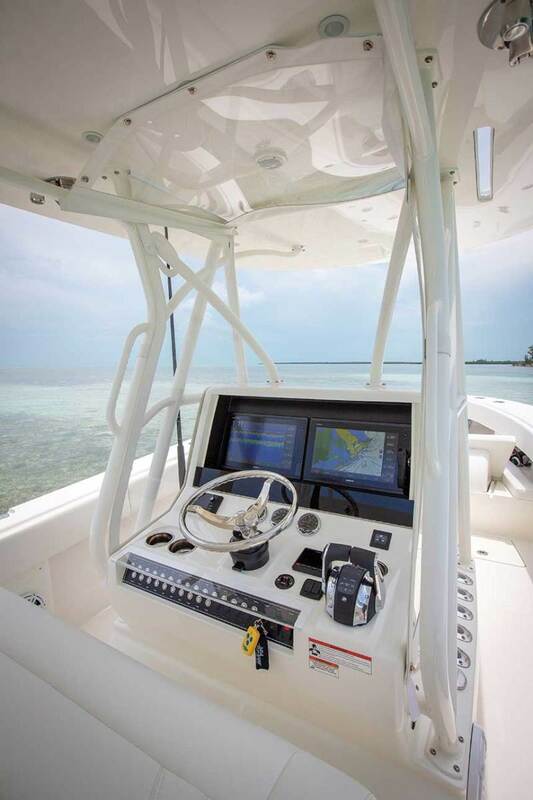 SeaVee will install any engine brand the customer wants, up to 800 hp on the 322Z. Top speed with maximum power is just under 60 knots. 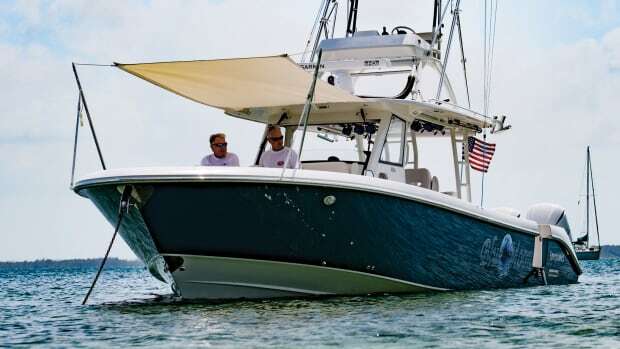 “The double-stepped hull on this boat adds a lot of efficiency and performance,” Juan says. “Steps are bad if they’re not engineered perfectly. 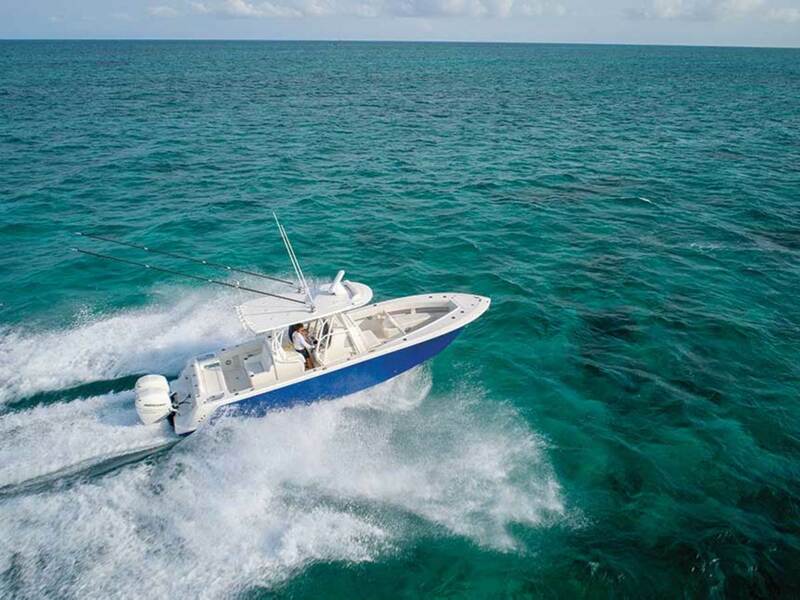 But when they are done well, they’re almost like magic.” I look over at him as we speed across the water back toward Miami and say, “I’m a believer.” And then to my dad I say, I think I found our boat.